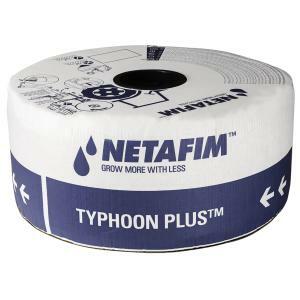 Easily recognizable by the two orange stripes, Netafim Typhoon Plus Drip Tape is a high quality drip tape with outstanding performance even at ultra low flow rates. Can be used in surface or subsurface applications for multiple seasons. 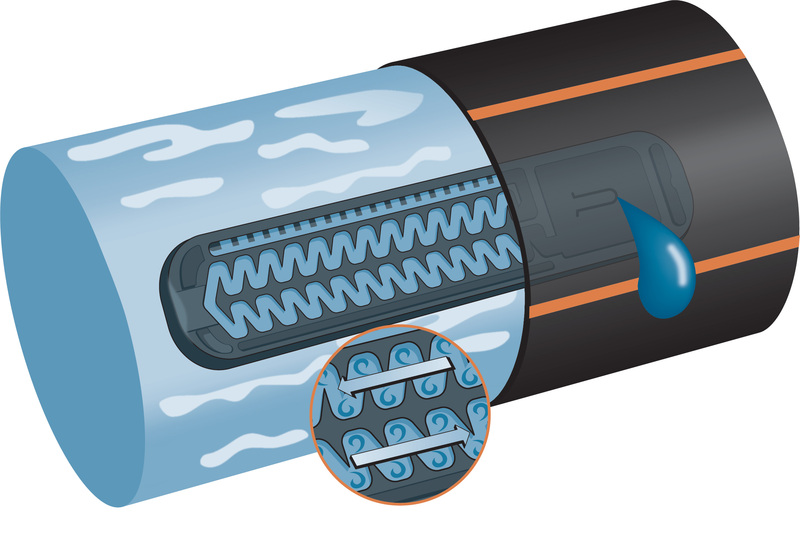 The lower flow rates allow longer runs, which in turn saves money by reducing the number of sub-main lines and fittings needed in your layout. Netafim's newest innovation is the TurbuNext Technology. This unique dripper design with wide flow path and angled teeth increases turbulence to resist clogging. Minimum filtration required for low flow rates is 120 mesh.